Hello Friend ! welcome to Odessa. Our hostel boasts free WIFI, Air Conditioner in every room, free landry and much more. 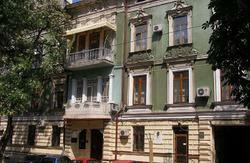 In the heart of Odessa is a lot of bars with cheap Ukrainian food and drink ! From the hostel you can get to the resort and beach district Arcadia in 15-20 minutes by bus. Arcadia is the best place for your nightlife, with a lots of discos, restaurants, bars and of course, great beaches!Arcadia district open just in summer season. Beautiful Odessa women is ready to help you 24 /7. In our hostel you can have relax better than at home. From the train station - minibus No. 108. - this bus go direct to Kovalevskaia street . 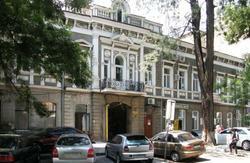 also named Pishonovskaia (Пишоновская) You will see 16 store yellow building .The building No. 24/2. Hostel is located on the first floor. or take tram number 28 and gett off at Torgovaia stop. From the bus station - minibus No. 540, get off at Kovalevskaja str. (formerly known as Pishonovskaya) and go down the street till building No. 24/2 (about 450 meters). Hostel Address: Odessa. 24/2, Kavalevskaya-street, apt. 6. First level of 16-storey new building. Entrance to the hostel is through the brown left door.